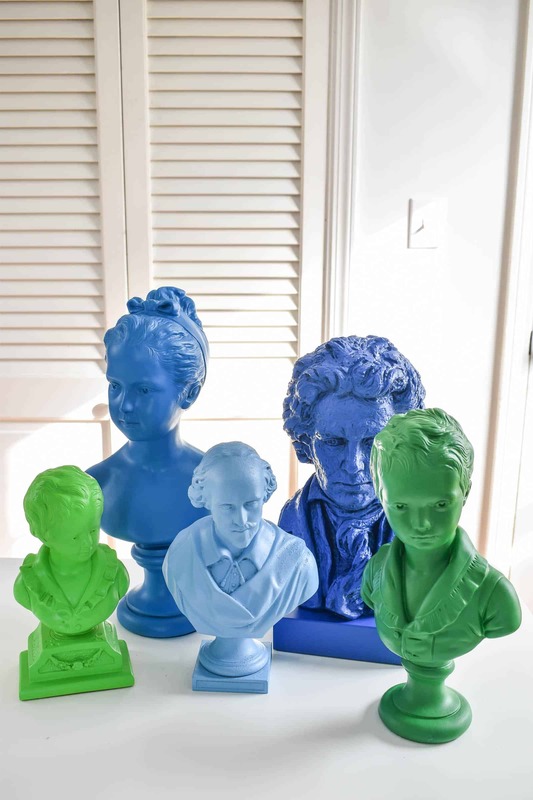 I picked up a handful of busts from Goodwill.com, Facebook marketplace… anywhere I could find them for under $10 and I gave them a colorful makeover! Disclosure: I am an ambassador for Plutonium Paint and they have provided me with product. 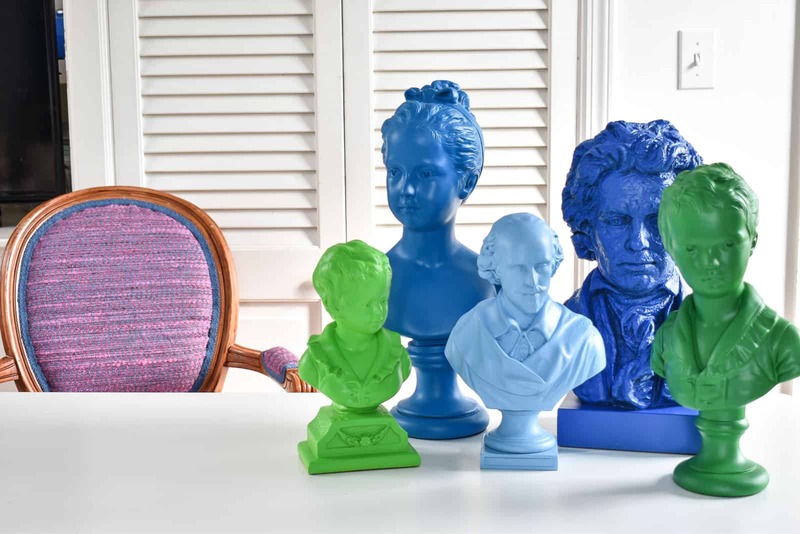 I wanted these busts to pick up colors in my new office. Specifically some wallpaper. 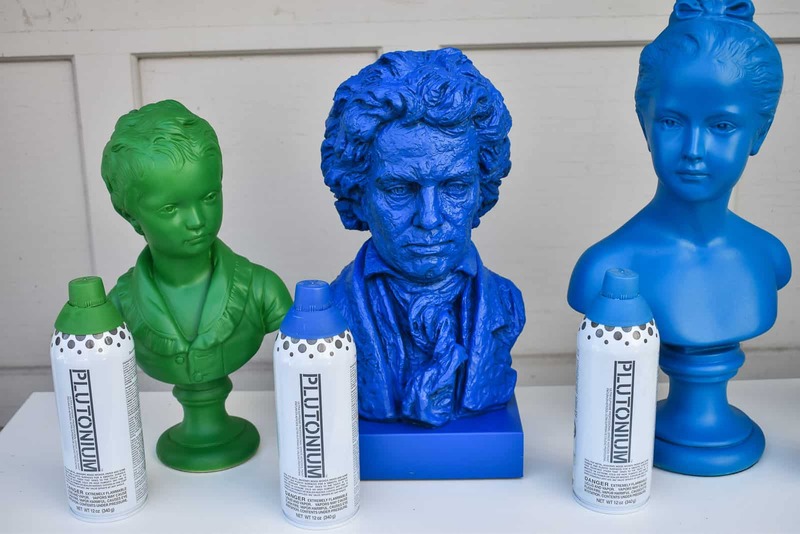 I was able to match 3 different blues which isn’t something I can’t typically do with a more generic spray paint. 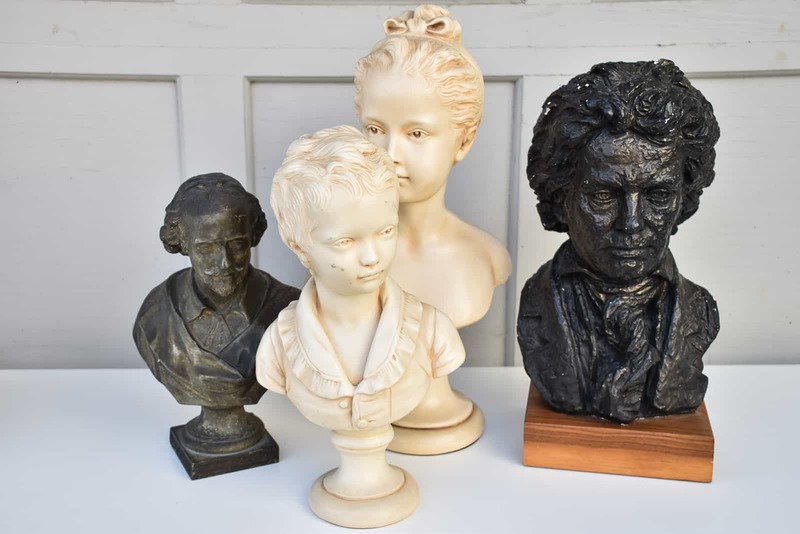 These busts are all different materials, but the one thing they have in common is nooks and crannies. In order to reach all those crevices and grooves I need to hold the spray paint *real* close… which normally would make me nervous because that’s a recipe for drips. But… Plutonium comes out in such a fine mist that it doesn’t drip. I mean, I could probably get it to drip if my life depended on it, but spray painting a few inches from the surface is totally fine. 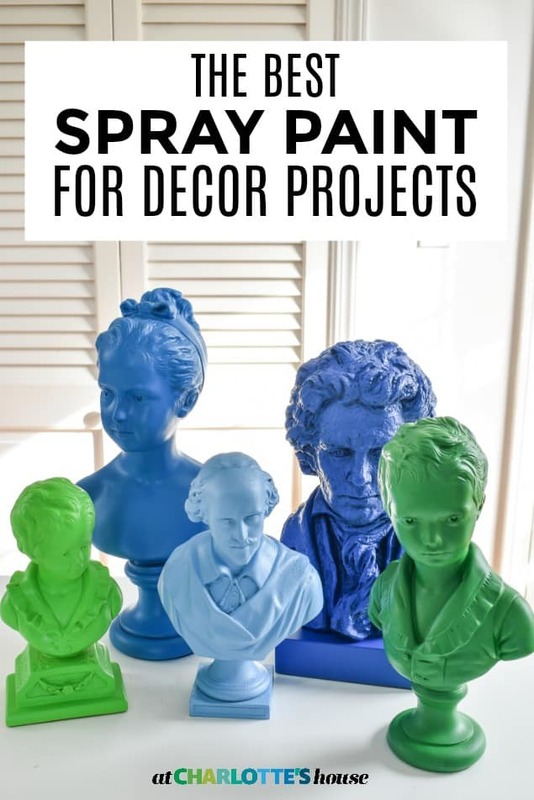 Because the paint goes on in such a fine mist, the coverage is glorious. Smooth and flawless. 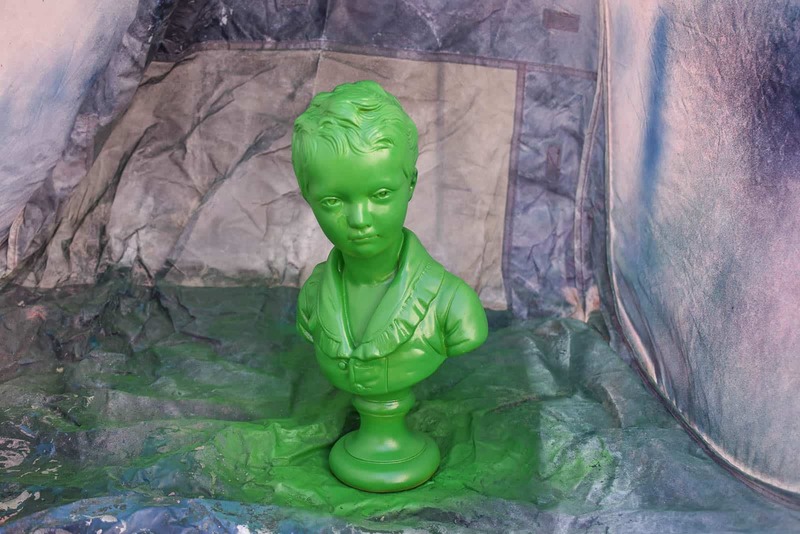 A couple of my busts were already super smooth so any issue with the spray paint would have been magnified. No experience necessary for a pristine finish… see how this looks in process and finished. The first time I spray painted anything, I set up a few tarps in the driveway and went to town. An hour later, I had white dining chairs and a thin haze of white paint on the front of our black car and anything else within 10 feet of my spray painting. 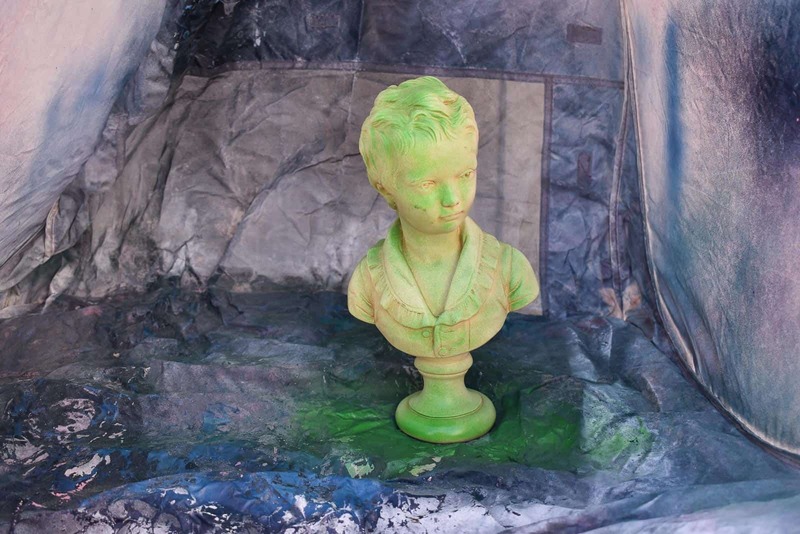 I was spray painting these busts in my favorite paint shelter, but you’ll see… there was hardly any paint anywhere but on the bust. See how little green is on the spray shelter?! With so little overspray, not only is it just easier to work with, but a single can goes MUCH farther than other brands. For small to medium projects, I LOVE using Plutonium and it’s hands down got a smoother more durable finish than other brands. 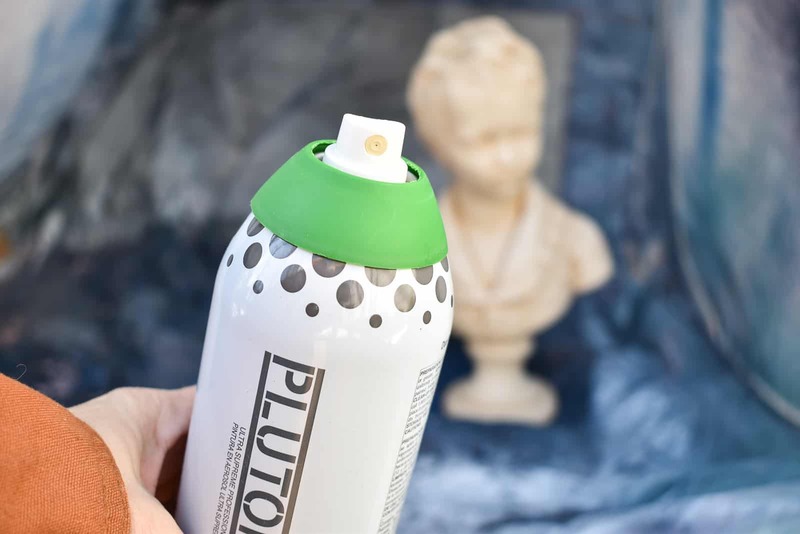 Plutonium comes with a handful of interchangeable spray heads so you can better target your paint spray to your project. Stay tuned for more projects featuring Plutonium… Check out their website for more information! 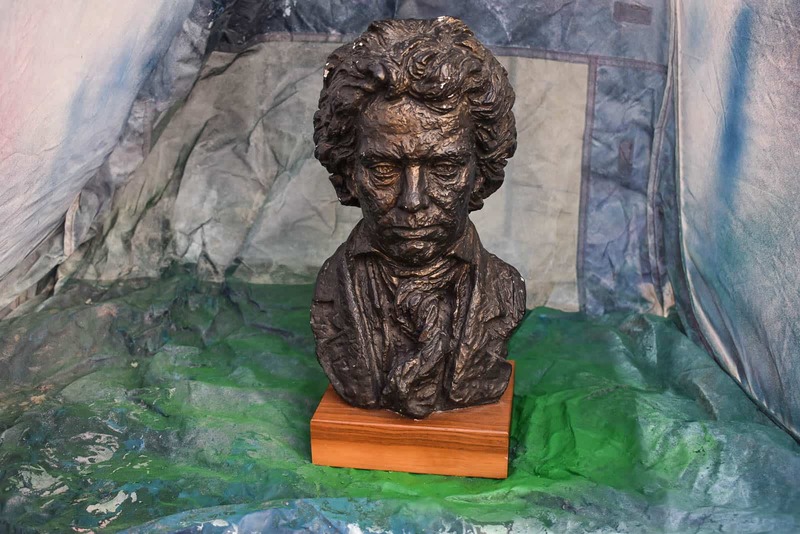 You’ll have to wait a little longer to see where these busts ultimately ended up. They look SO fun now so even without styling, I love how they turned out! Wow! What a fun project! Now I have to start collecting busts!!!! Haha! I know, right?! I love a good collection! They look fantastic! You’ve got such an amazing eye for color.